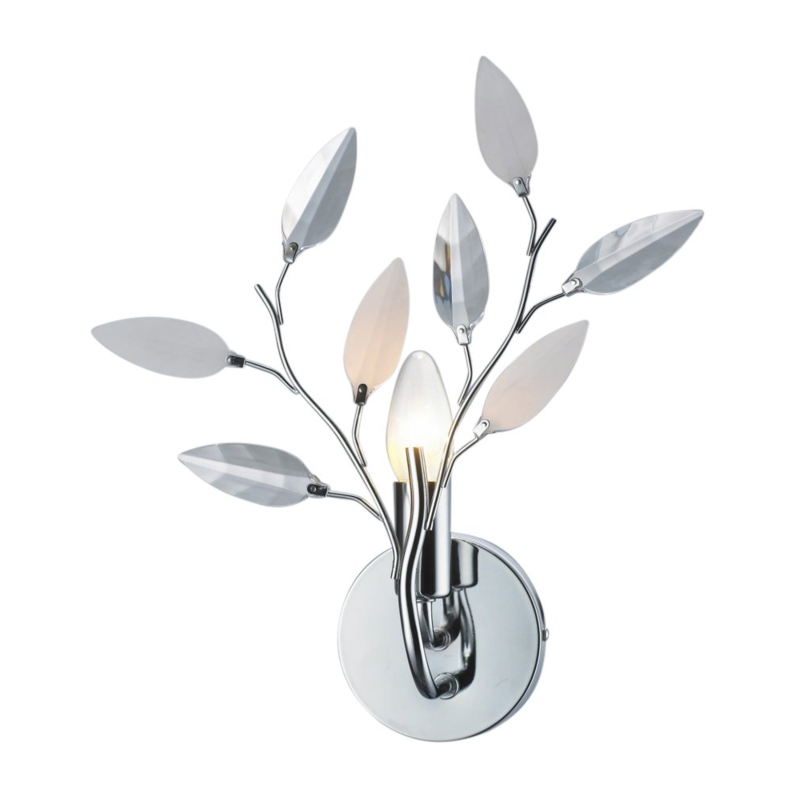 Modern and unique polished chrome wall light fitting with branching metal stems. Features willow designed shape and clear and frosted acrylic leaves. Requires 1 x 60w SES candle bulb (not included). LED and low energy bulbs may be used if desired. Total product dimensions as follows: Height - 36cm, Wifth - 30cm. This wall light fitting comes complete with 2 year electrical warranty.